This event was rescheduled. The original date was February 12, 2019. The Penn Club invites you to an evening with Anthony Scaramucci. Anthony Scaramucci is the Founder and Co-Managing Partner of SkyBridge Capital. He is the author of four books: The Little Book of Hedge Funds, Goodbye Gordon Gekko, Hopping Over the Rabbit Hole (a 2016 Wall Street Journal best seller), and Trump: The Blue-Collar President. Prior to founding SkyBridge in 2005, Scaramucci co-founded investment partnership Oscar Capital Management, which was sold to Neuberger Berman, LLC in 2001. Earlier, he was a vice president in Private Wealth Management at Goldman Sachs & Co. In 2016, Scaramucci was ranked #85 in Worth Magazine’s “Power 100: The 100 Most Powerful People in Global Finance”. In 2011, he received Ernst & Young’s “Entrepreneur of the Year – New York” Award in the Financial Services category. Anthony is a member of the Council on Foreign Relations (CFR), vice chair of the Kennedy Center Corporate Fund Board, a board member of both The Brain Tumor Foundation and Business Executives for National Security (BENS), and a Trustee of the United States Olympic & Paralympic Foundation. He was a member of the New York City Financial Services Advisory Committee from 2007 to 2012. In November 2016, he was named to President-Elect Trump’s 16-person Presidential Transition Team Executive Committee. In June 2017, he was named the Chief Strategy Officer of the EXIM Bank. He served as the White House Communications Director in July 2017. 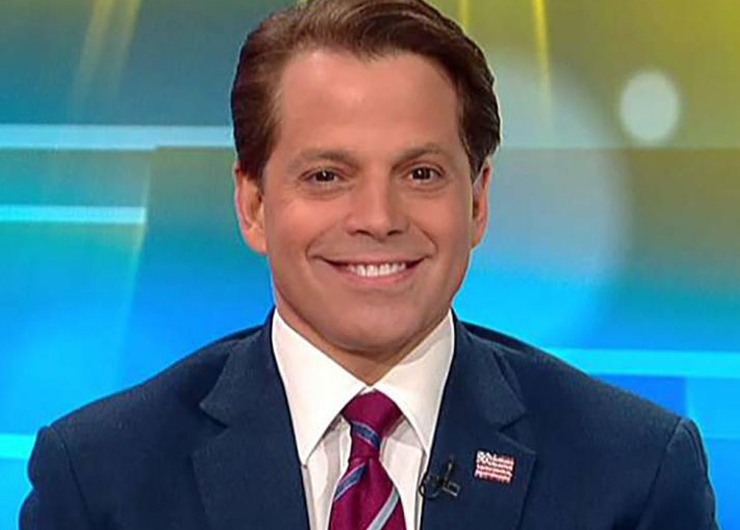 Scaramucci, a native of Long Island, New York, holds a Bachelor of Arts degree in Economics from Tufts University and a Juris Doctor from Harvard Law School.